An eminent manufacturer of wheel cylinder pistons, we have been successfully satisfying our clients spread worldwide. These pistons are made from aluminum under the supervision of our quality controllers and technical experts. These pistons are used in air brakes of trucks. Durable and reliable in quality, our products have been widely appreciated by our clients spread across the world. We are one of the prominent manufacturers and suppliers of Wheel Cylinder Pistons that are widely appreciated by our clients for performance and efficiency. Our pistons are developed using high grade raw material along with perfect machining. We have an excellent expertise in handling various types of raw material in Steel, Aluminium & Brass. We are engaged to offer the high quality cylinder piston that are highly reliable and they are made from high quality raw materials which are known for their unique features. These are available in different models and sizes as per the requirement of the clients. Leveraging upon our vast industry experience, we are offering our clients impeccable quality Wheel Cylinder Piston. This piston is manufactured with high precision using high grade raw material and modern technology. The offered piston is meticulously tested on various quality parameters before delivering it to clients. We provide our clients with a wide range of Wheel Cylinder Piston, which is used in mountings that are fitted in various automobiles. 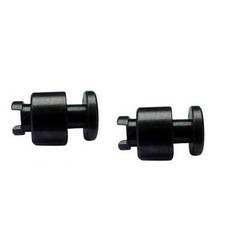 Manufactured using cutting edge technology and high grade raw material, these bushes are durable and dimensionally accurate. 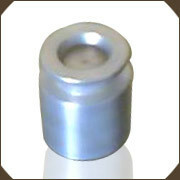 Our range of Mounting Bushes includes inner, outer, and various other bushes. We are offering a wide range of Cylinder Piston to our valuable customers. These Cylinder Piston are manufactured using latest techniques and quality raw material to provide efficient performance to the end users.